BMW Repair & Service | Certified Transmissions, Inc.
Are you in the Prescott area and searching for excellent auto mechanics for your BMW? You can stop searching because the auto repair specialists at Certified Transmissions Complete Auto Care are qualified, able, and willing to work on your BMW. BMWs are known for their superior performance and excellent handling. A car this well engineered deserves excellent auto repair specialists. After all, you don’t want just anyone working on your BMW. At Certified Transmissions Complete Auto Care in Preston, our technicians are highly trained in cutting-edge technologies so we can work on your BMW. 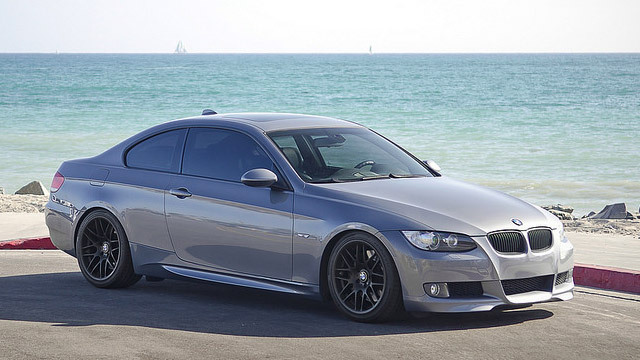 Why bring your BMW to Certified Transmissions Complete Auto Care in Prescott? Owner Mike Pfeiffer says it best: “We want to PREVENT failures. Maintenance prevents failure!” We’ll take care of all your maintenance and repair needs so that you feel as safe as possible driving in the Prescott area. We do test drives before and after repairs. Nobody else does that. And we have a 2-year/24,000-mile warranty. “The crew at Certified Transmissions INC. are AWESOME! Great work on my 1975 Dj5 Jeep. honest and timely service. Thanks” -- Chad H.
We’d love to work on your BMW. Schedule an appointment today. Certified Transmissions Complete Auto Care is conveniently located at 1089 West Iron Springs Road, Prescott, AZ 86305. Our hours are 8:00 AM - 5:00 PM, Monday - Friday. We also serve the communities of Prescott Valley and Chino Valley.